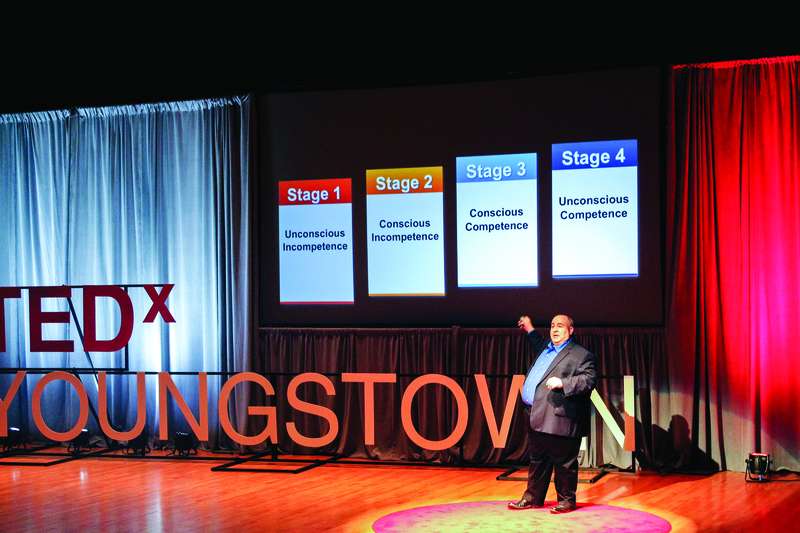 TEDx Youngstown was held on Sept. 22 at the DeYor Performing Arts Center, which aimed to tell stories that were diverse but all leaned toward the TED motto of creating ideas worth spreading. 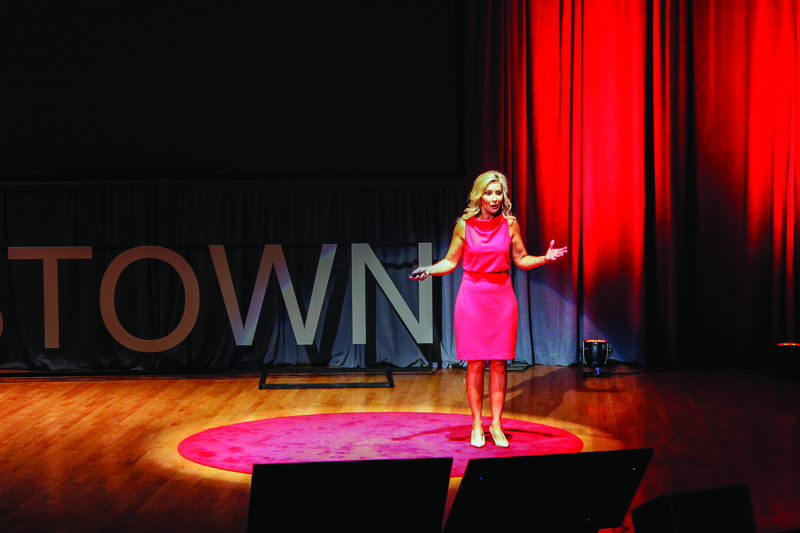 TED stands for technology, entertainment, design and the x means it was an independently organized event. The event tackled the idea of “What if?” covering questions such as, What if an older relative passes away and along with them goes much of a family’s history? What if your daughter committed suicide? And what if unflattering images of you were leaked on the internet? The speakers questioned and answered these “what ifs” by sharing their personal experiences and opinions. Two of which were Youngstown State University faculty. 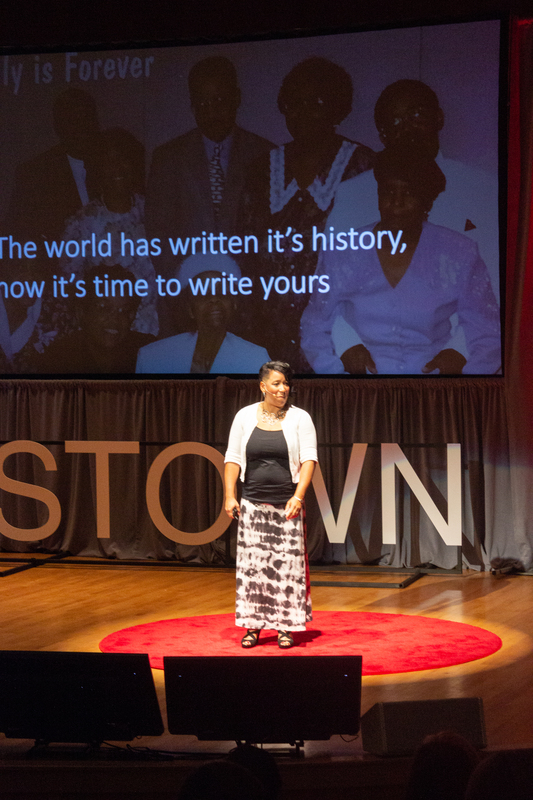 Jaietta Jackson, communications instructor at YSU, stressed the importance of family history. “What do you know about your family history?” she said addressing the crowd. 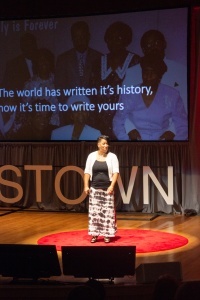 Jackson told a story of her great grandparents who were the only black slaves that owned land in Georgia. As tensions grew in the area, they were forced to move to Youngstown. Jackson challenged the audience to go out and ask questions to the older generation of their families and record it. 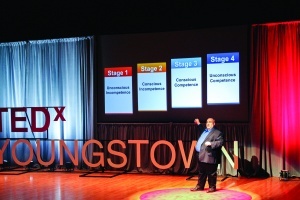 The other YSU faculty speaker focused on the present with issues concerning a new brand of humiliation. Catherine Bosley, part-time journalism instructor at YSU, discussed the dangers of information on the internet. Bosley experienced firsthand the power the internet can have on a person’s career after explicit photos of her were leaked forcing her to leave her news anchoring job and make on-air appearances on various new outlets and talk shows to defend herself. During her speech, she played a video of a voicemail she had received from a woman berating Bosley with insults, telling her she’d never work again. However, she did get a second chance as an anchorwoman in Cleveland and after three federal lawsuits, Bosley said she received copyright ownership of all the photos. She said she wants anyone going through a similar situation to know the pain will pass and any self-inflicted harm is unnecessary. But some situations and depressions are too difficult for some to deal with. Eric Hodgdon, a public speaker and author from Boston, shared how important it is to overcome the loss of a family member, discussing the suicide of his daughter Zoi. Hodgdon conducted an online survey in which he found 63 percent of those who lost a loved one to suicide are simply just surviving day to day and even hour to hour after their loss. They’ve found it difficult to get back up and find purpose with their life. He said he’s found value in his life again as a father figure to his daughter’s friends and as a public speaker telling his story and giving his daughter new life.